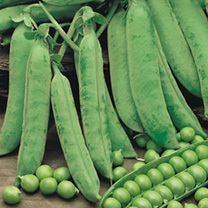 An early-maturing variety, producing a good crop of sweet and succulent tender peas. Height approximately 45cm (18"), so no staking required. ON RECEIPT - Remove the plants from the packaging immediately upon receipt. Check the compost is moist and water if necessary. All the vegetable plants can be planted immediately into a moist soil in the garden, provided conditions are suitable. Once planted water well to settle the soil around the plants. SOIL PREPARATION - Vegetable plants require a well drained soil in a sunny position that has ideally been dug in the autumn. Prior to planting lightly fork over the area removing any weeds that have grown, and break down any large lumps. Apply a general fertiliser such as Growmore and rake into the surface. During the growing period keep the plants well watered in dry spells and keep weeds under control. 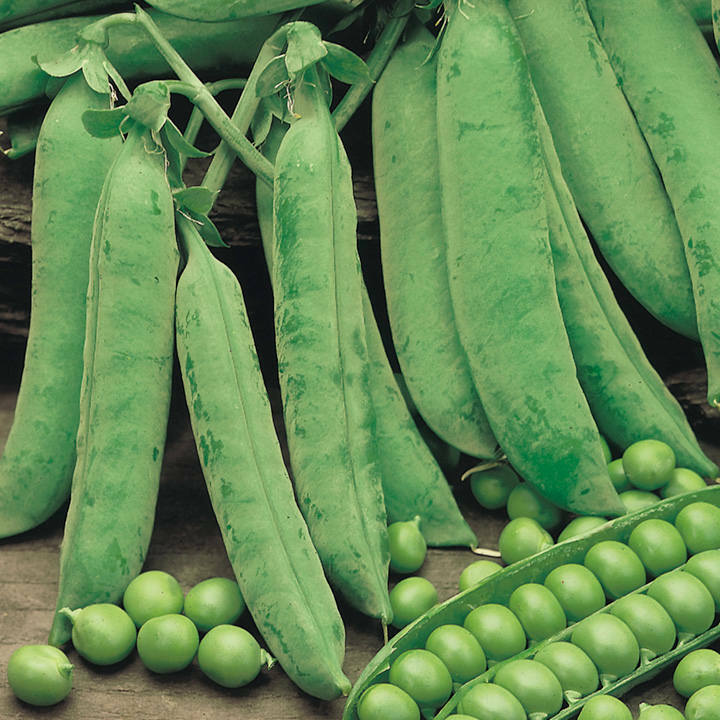 PEAS - Plant in a free draining moisture retentive soil in a sunny position. The plugs contain a number of seedlings which should not be separated. Allow 7.5–10cm (3–4") between plants in rows 60cm (24") apart. The variety supplied grows to about 75cm (30") and should be supported with twiggy sticks or netting. Pick regularly when the pods are plump.